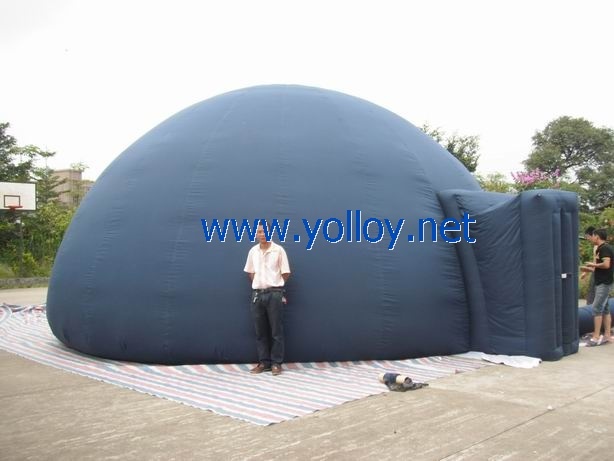 mobile planetarium dome is made by anti-stretch fabric material. The dome can be set up in 15 minutes. fireproof and durable.The inner of the dome is Special coated which is special for planetarium's display. The air in the dome can exchange with the air outside any time .The installment is very convenient, so long as open the dome, turn on the air blower and the air curtain connection, the dome can be installed in 15 minutes . 2. Material: is suitable for movie showing. 3. all products will be inspected by a third party inspection dep. before shipping.